Invacare Reliant 350 stand-up lift with manual low base is an ideal product for everyday client handling, ensures caregiver security and client peace of mind during the transfer. 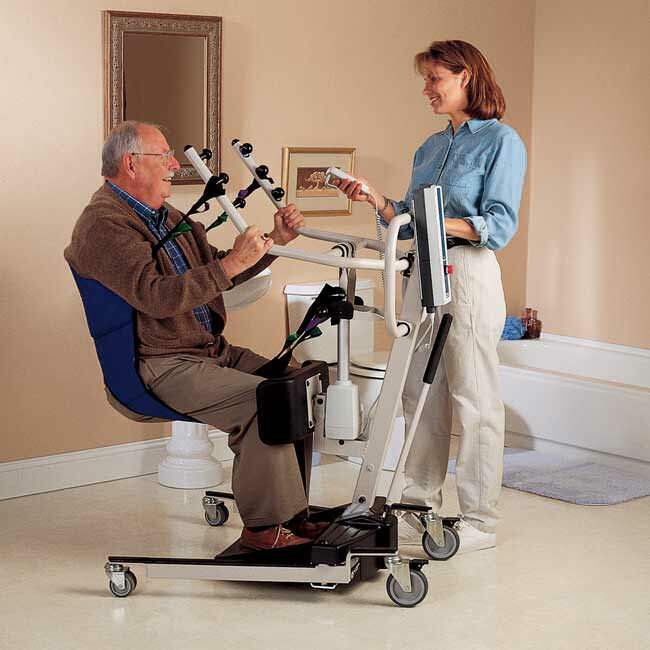 Reliant 350 stand-up lift with manual low base is intended for use with weight-bearing clients as well as those needing rehabilitation support. 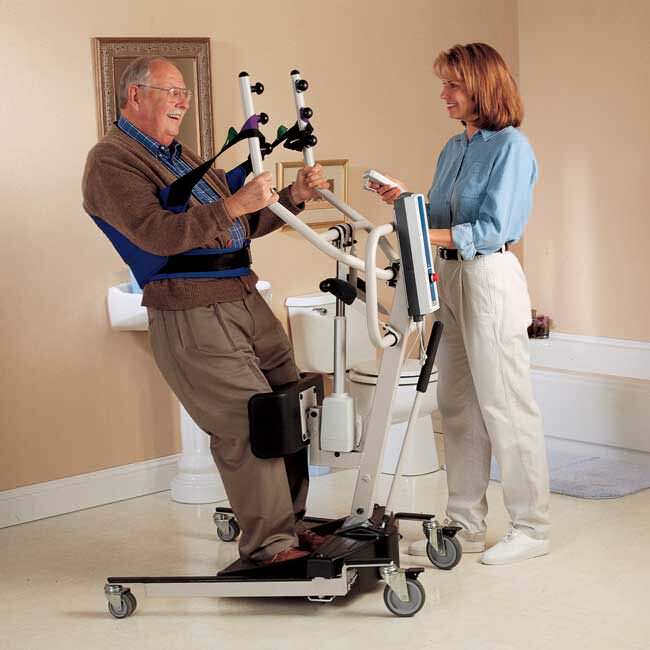 Reliant 350 stand-up lift has adjustable kneepad to safely and comfortably accommodate a wide variety of body shapes and sizes up to 350 lbs. Invacare Reliant 350 stand-up lift comes with low friction casters that improves rollability and contribute to caregiver safety. Reliant 350 stand-up lift has adjustable leg support which features a soft pad with lateral contour that secures legs in three positions for comfort at any height. Reliant 350 standing aid comes with fast, simple sling attachment that protects against accidental disengagement, wide push handle, good access for clothing removal and comfortable slings with extended back support that prevent pressure in the under-arm area. 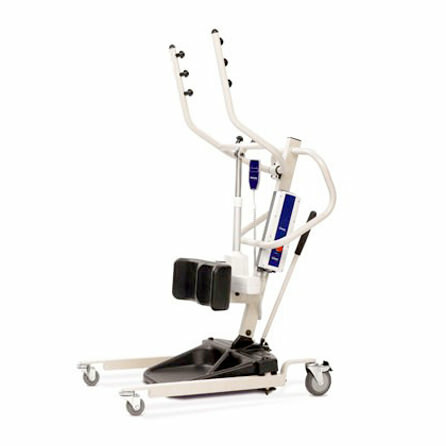 Reliant 350 stand-up patient lift has under-bed clearance of 4.5" which allows accessibility to most nursing home, hospital and homecare bed styles. Reliant 350 stand-up lifting aid offers quick-release battery pack which eliminates downtime and simplifies the charging process. 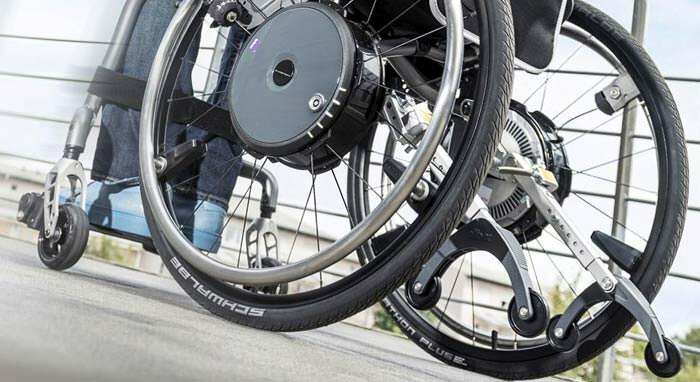 Invacare Reliant 350 standing aid provides adjustable leg strap option that secures leg against knee pad for optimum positioning on footplate. Caster size Front - 3"
Weight out of carton 108 lbs.